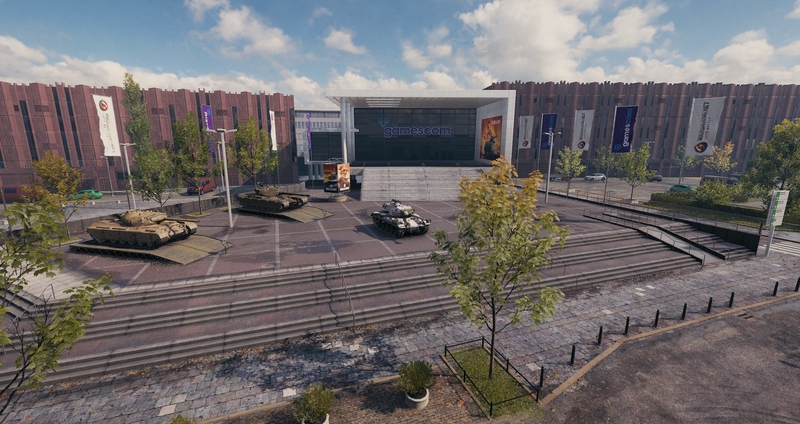 World of Tanks will have two new garages soon, one dedicated to Gamescom 2018 and the second one to celebrate World of Tanks 8th anniversary for the Russian region. 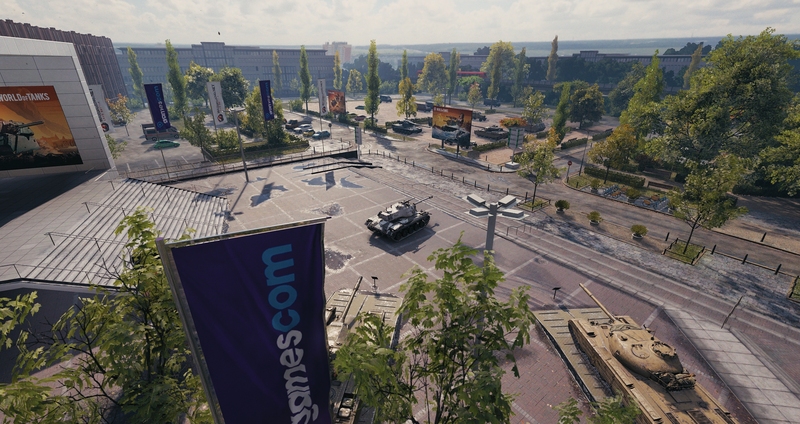 As per usual during August, EU players will get the Gamescom garage in the game but this time all converted into HD. 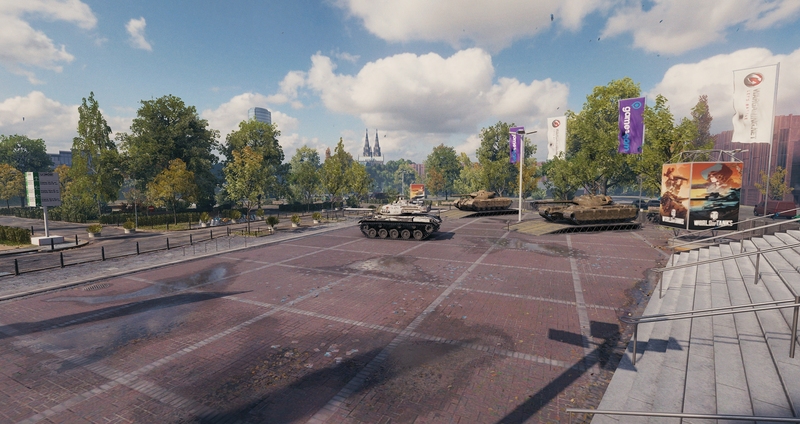 I must say it looks amazing and it’s a good chance from the usual camp garage we currently have. 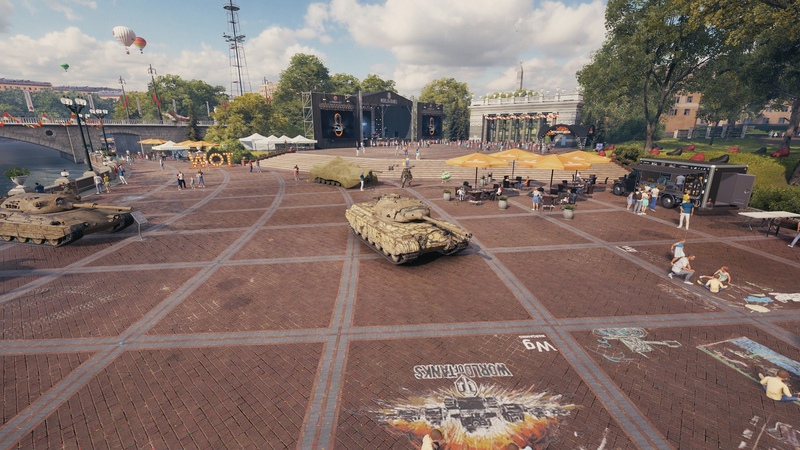 World of Tanks is celebrating eight years since it was released in the CIS Region and together with the usual celebrations, they get not one but two new garages just for the occasion. 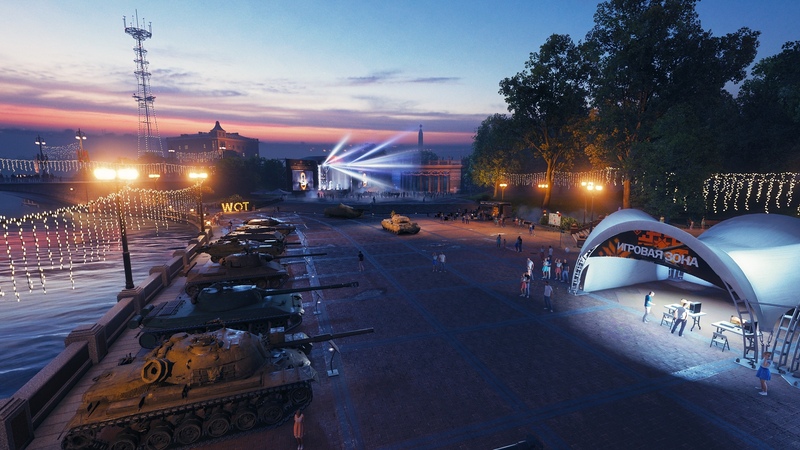 The location couldn’t be anything else thank Minsk itself at Gorky Park, with a daytime and a nighttime version. 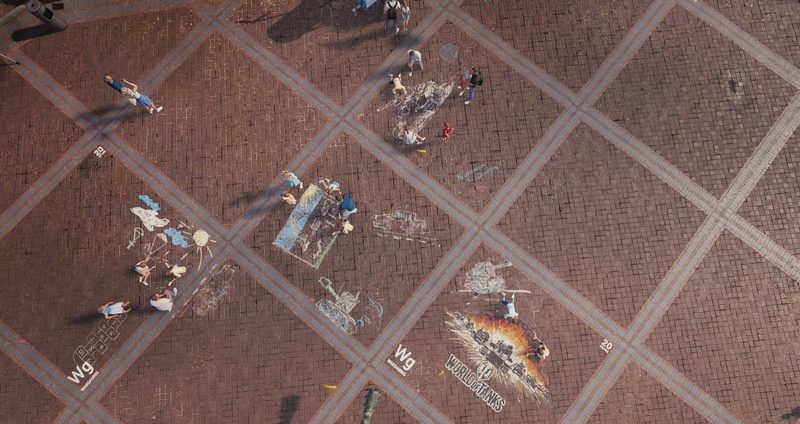 A lot of small Easter Eggs can be found in the garage, references to lots of small and important things that happened during these eight years. 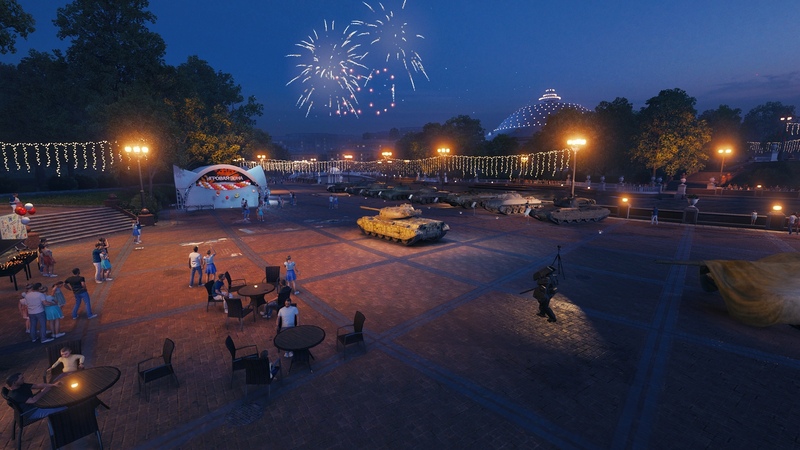 I remember suggesting a garage with a day/night cycle on the forums, and Kandly told me she had sent that suggestion to WG. :O I wonder if this is it?! Whats w the dude in the cardboard boxes w the sword? 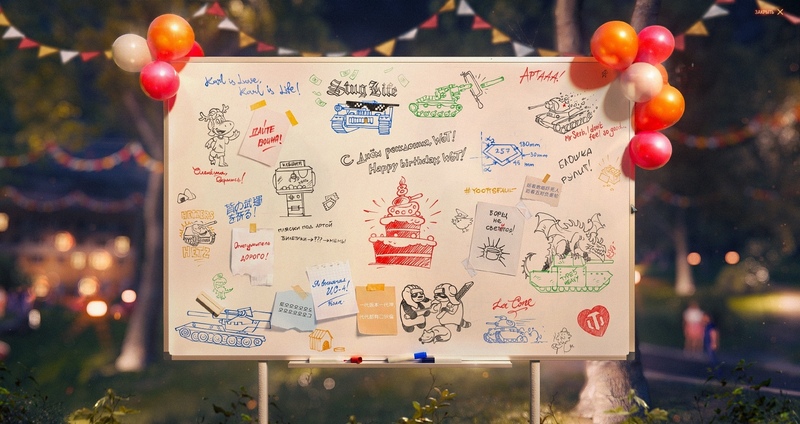 Next Entry World of Tanks: TKS 20 will be a free gift!